Check out this Samus Aran costume built by 11-year old Joseph DeRose, Metroid fan and his father in preparation for Halloween. The pair still have a little work to do on the complete costume but the arm canon is ready for action. Watch the video after the break to see it in action. The arm contains an array of LED lights that are controlled by a Arduino together with a speaker. 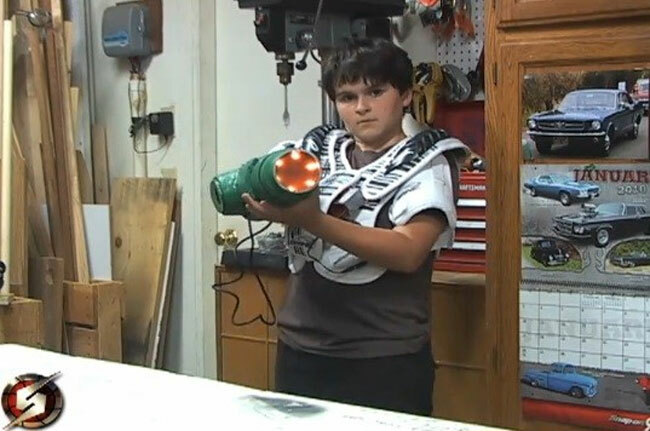 The DIY arm cannon can shoot either Plasma Beam, Power Beam or charged shots. Another cool feature requires DeRose to “log-in” to use the weapon that can then shoot Plasma Beam, Power Beam, and charged shots.